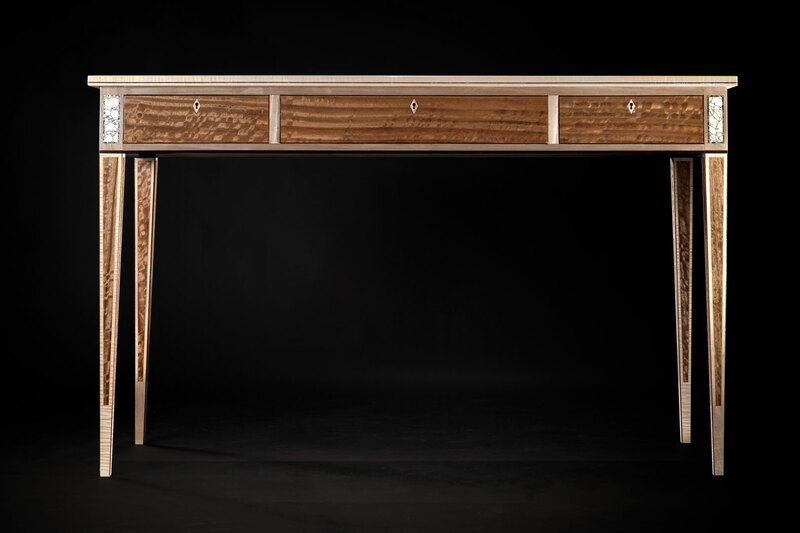 Handmade dovetails highlight the quality of this elegant desk. 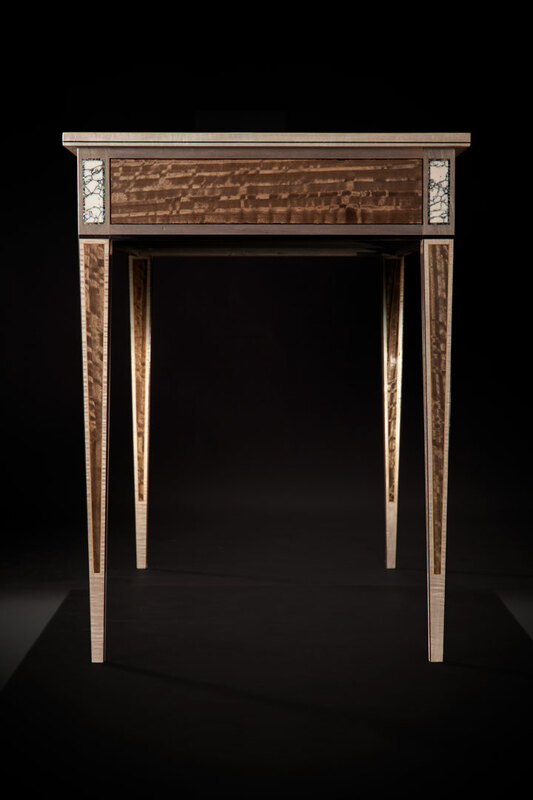 Italian Sycamores and Eucalyptus are used with delicate Ironwood lines. 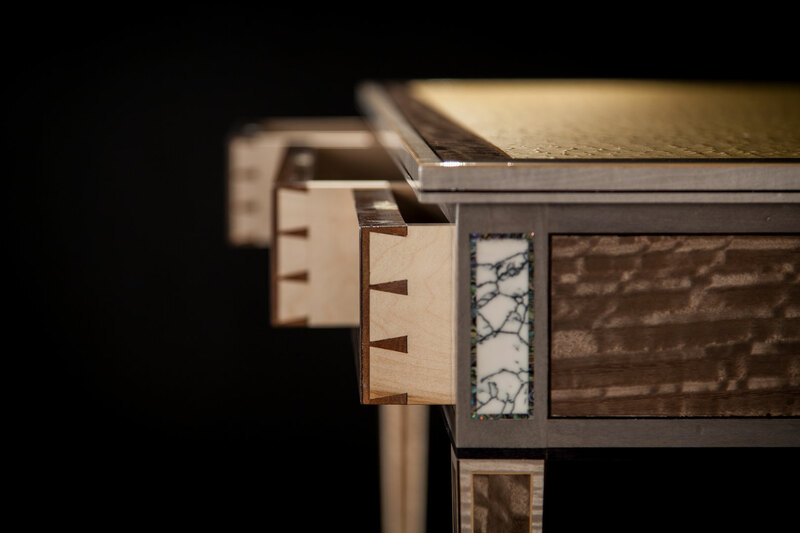 Stone and abalone panels sit above square tapered legs. 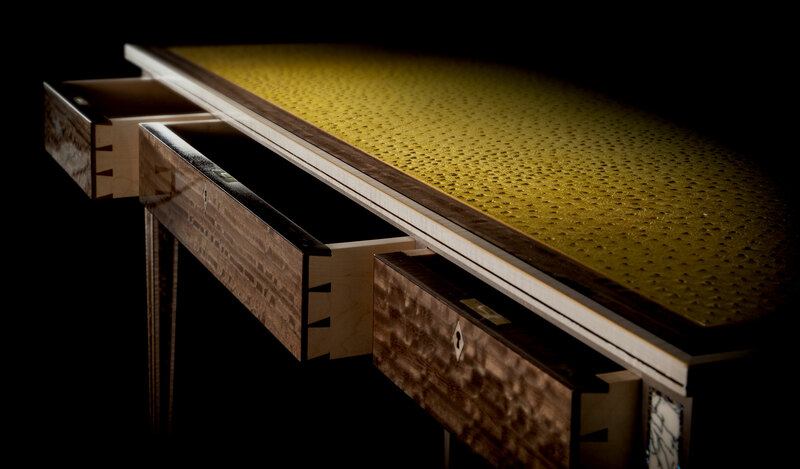 Drawer fronts are of Eucalyptus with interiors of Flame Maple and fumed Eucalyptus giving a wonderful contrast when opened. 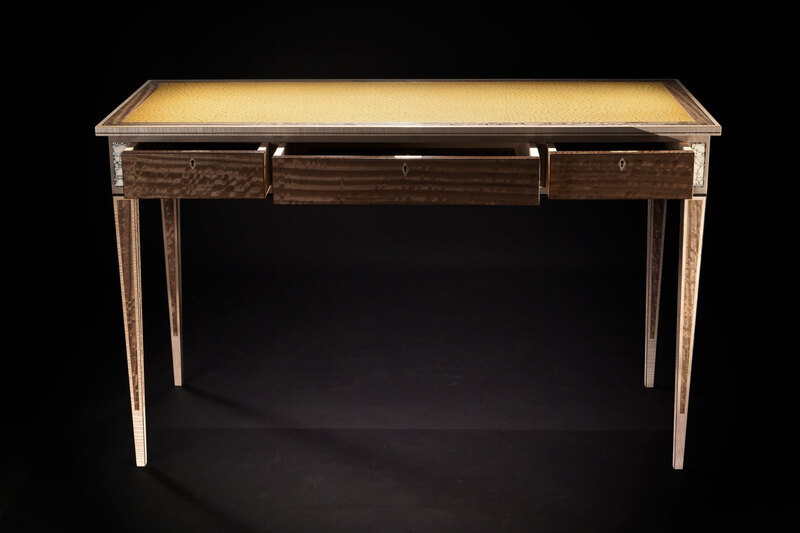 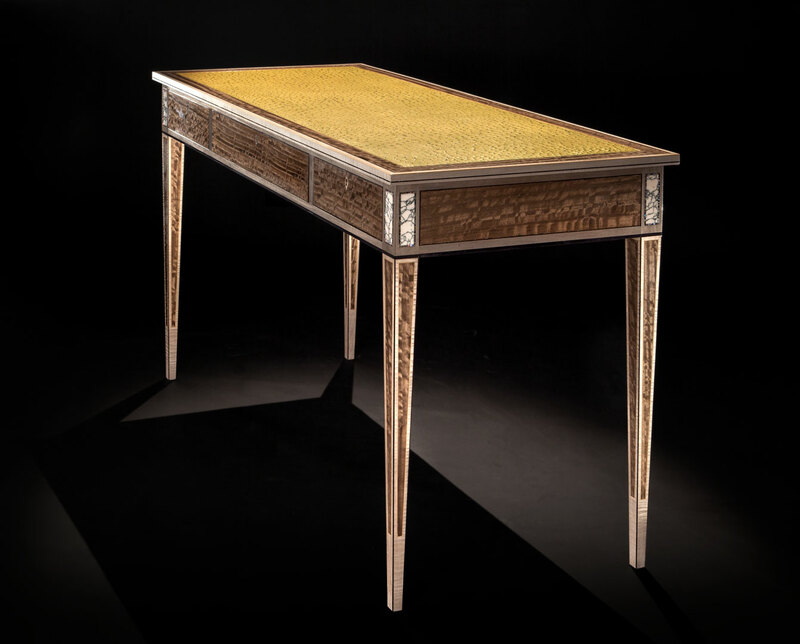 Handmade dovetails coupled with tactile ostrich skin highlight the quality of this elegant desk.